If you’re looking for a stylish ride to transport you to an upcoming sports event in the UK, LEC is here to help. With a stunning selection of limousines, party buses and luxury cars at our disposal, Leicester Executive Chauffeurs is able to provide just the right vehicle to suit your occasion. 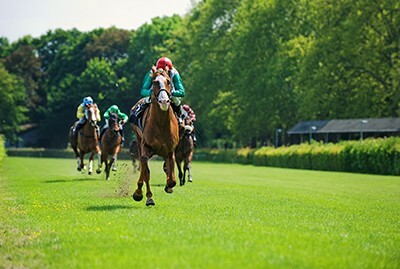 We operate all over the UK so whichever sports event you’re planning to attend, whether it’s Wimbledon, The FA Cup Final or the Grand National, we can transport you there in the lap of luxury. Availability for premier events such as Wimbledon, Royal Ascot and football finals, tends to get tight closer to the date, so if you’re planning to attend one of these premier events, you’re well advised to book in advance. We have an exclusive selection of luxury cars such as the Rolls Royce Phantom and the Bentley Continental flying spur which is perfect for a day at the races. If you need to transport a large group of people to a sporting event, then our fully specced Mercedes Viano people carriers are ideal. With a large seating capacity, chilled bottled water, Climate control and WI-FI along with a state of the art sound system, they offer top quality transportation for large parties. From Henley Royal Regatta to Premier League matches, the British Grand Prix to the Autumn Rugby Internationals we are able to offer expert chauffeur driven limo hire to any UK sporting event. So get in touch today to receive a free quote. Estimated round trip journey time. To book your Sporting Events Chauffeur or if you have any enquiries, please get in touch by completing the contact form (click here)or by phone or email.